Last month NBC Connecticut Investigates exposed how almost a dozen dispatch centers received warnings for failing to answer 90 percent of 911 calls within 10 seconds. Now they’ve learned that pickup times are slowing improving. Taking a 911 call in 10 seconds or less is a national standard that around a dozen dispatch centers in Connecticut are not meeting. 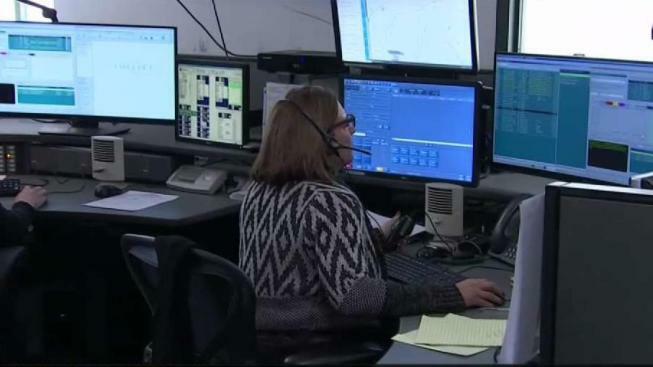 Last month NBC Connecticut Investigates exposed how the dispatch centers received warnings from the state for failing to answer 90 percent of their 911 calls within 10 seconds. The state says since those letters went out, administrators from the Division of Statewide Emergency Telecommunications visited each and every one of these dispatch centers. Those dispatch centers are now working to pick up the pace, said DSET administrators. "There are still some below the bar, but we're in the 88, 89 percent range, and we have no doubt they're gonna make it over the bar with, once they complete their training and those few that need additional resources to get it done", said Bill Youell, Connecticut’s Director of Emergency Telecommunications. Youell told a panel that many of the dispatch centers were not aware of the standard, and a number have had staff shortages. All told, our state has more than 100 dispatch centers. About 10 percent percent got the warnings from the state.